From G-SHOCK, which is supported mainly young people prefer to street fashion, appeared metallic dial shines “(Metallic Dial series) Metallic Dial Series”. Color LCD for digital section mirror. Metallic coating applied to a metallic shine, metallic paint it a new color, such as a metal powder melted Kon-band case even further, to the dial was set to finish his whole body shine. The base model is adopted as the popular DW-6900 model that is used in a variety of collaborations. 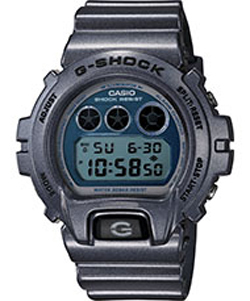 G-SHOCK is tough and cool that shines on the street scene.